Google has made one of the easiest ways to upgrade your hosted AdSense account to regular Non-hosted (Normal) AdSense account. All you have to do is, submit the name of a website you have owned or controlled by you where you want to shows the AdSense ads. Then Google will manual review the submission of your website & check it for Google policy compliance. If the submitted website you have mentioned it meets the quality criteria and policy compliance requirements, Then Google will automatically upgrade your hosted account to normal account and the “hosted account” label will be permanently removed from your AdSense account. Let’s we discuss the basics of difference between Hosted and Non-hosted (Normal) account in adsense. In Google AdSense, Hosted account created through only based on blogspot.com or YouTube channel. You can easily get hosted Adsense account apply to blogspot.com blog or your YouTube channel. The main important thing is if you are having hosted account you can use it only on blogspot.com websites as well as YouTube channels only. The main domain you can’t use it. What is Non-Hosted (Normal) account? If you are having the normal Google Adsense account means, you can use it anywhere with the domain extension website under your control. You must follow the Google Adsense rules and regulations and also its policy about ads showing on your website. Otherwise, your Adsense account will be banned from Google Adsense team. NOTE: If you are not having your own website means, you may not able to upgrade from Hosted AdSense Account to Non-Hosted (Normal) account. Sign in with your AdSense account. Click on the Other products. Finally, you need to implement AdSense ad code on the URL that you provided above, on a page that receives traffic. On the left side navigation panel, Click on the menu in “Settings”. It will show the list of menu panel, Here you will choose the menu as “Access and authorization”. Then it will show like the below image on your account. In that above image, I will show ads on textbox place, you need to provide the URL of the website on which you want to show your Ads. Once website will be submitted to Google for review and you will hear back from them within a few days. 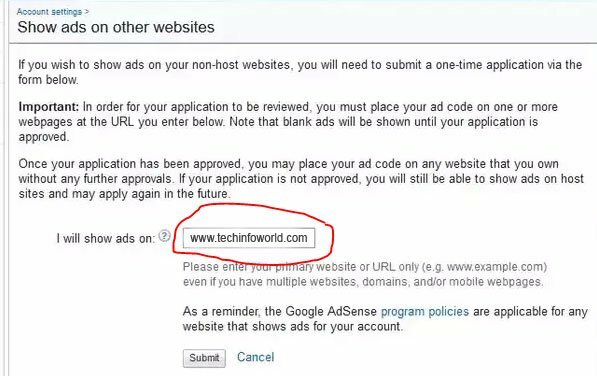 In case Google team decides if your website link does not compile requirements and policy means, they not to approve your request to remove the limitation, you can still continue to use the AdSense in the host websites only. 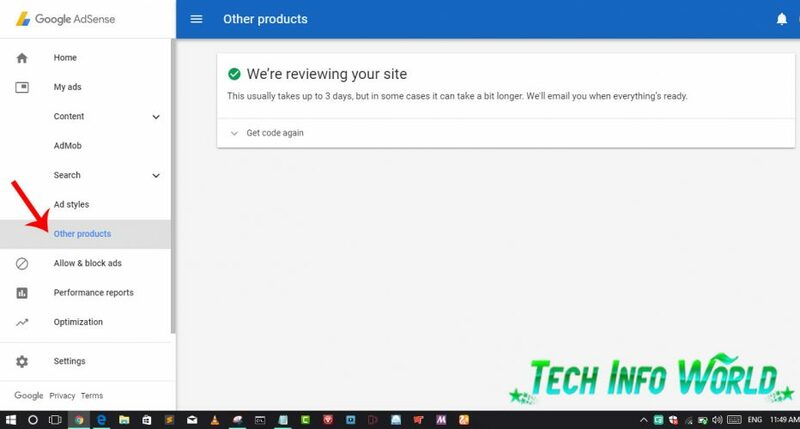 NOTE: Once you submit the application of upgrade hosted account to non-hosted account, you just need to implement the Google Adsense ad code in one or more pages of the website you are submitting for review. It will show only blank ads until your application is reviewed.If they approved your Adsense account only the ads will be showed as live, otherwise shown as blank space only. Can we upgrade it before pin verification?